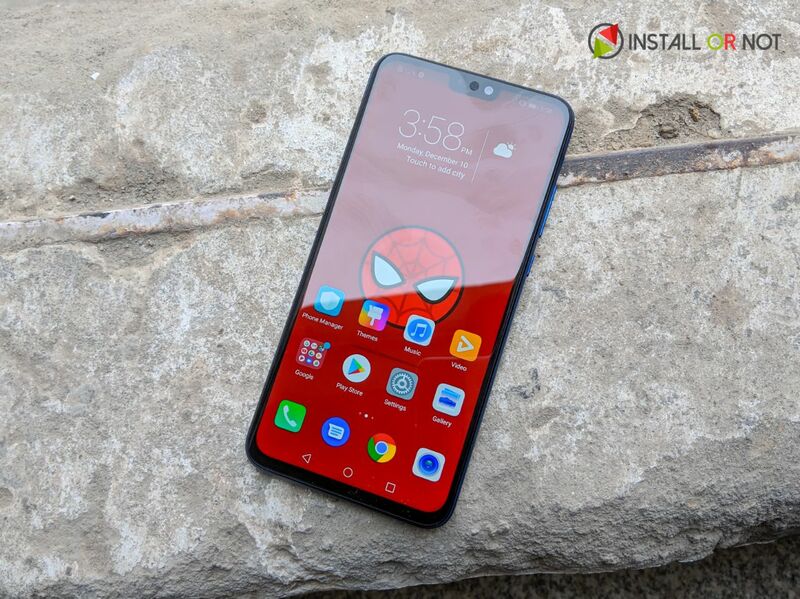 Honor 8X Review: The 'X' You've Been Waiting For! 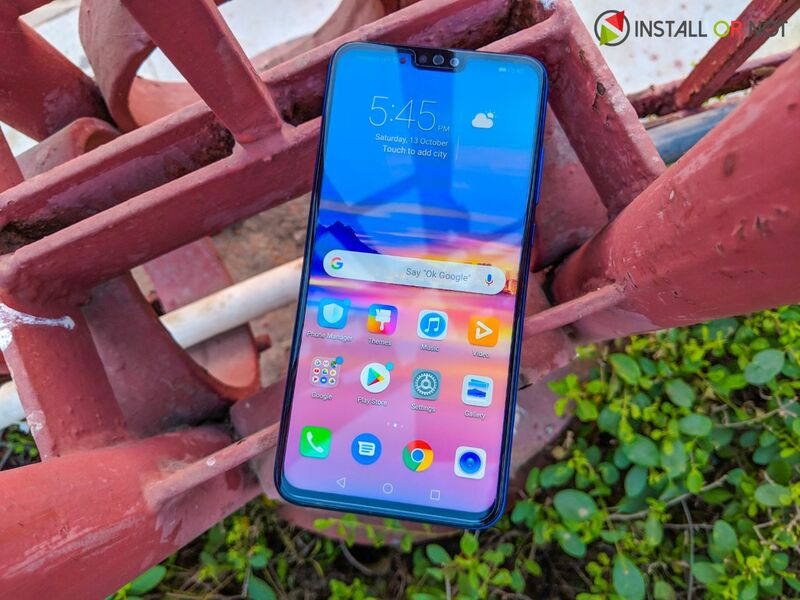 Home Reviews Phones Honor 8X Review: The ‘X’ You’ve Been Waiting For! 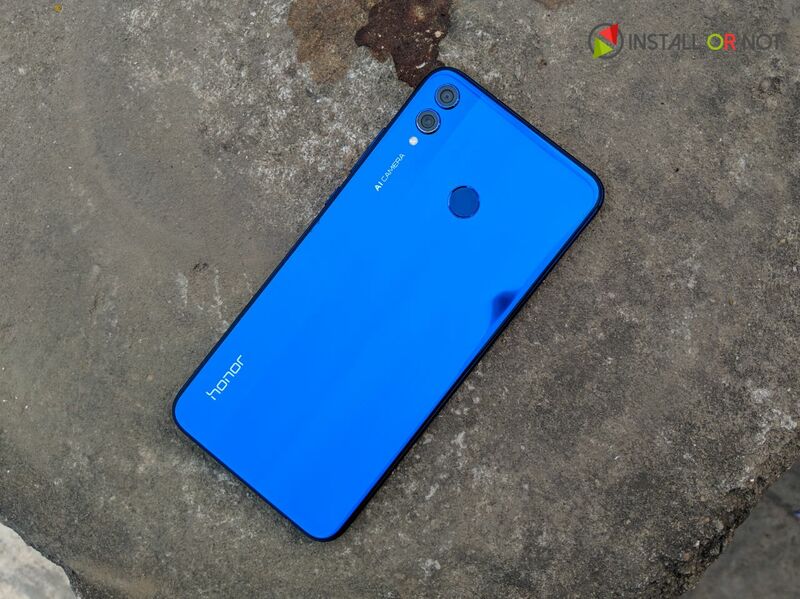 Honor has released a number of smartphones in 2018 capturing every possible price segment, they have budget devices like the Honor 7S, 7A capturing under 8k price segment and a wide range of mid ranged devices with the Honor 9N, Honor Play; and flagship grade devices like the Honor View 10. Honor devices are built with an aim to provide the best possible build quality that punches well above their price tag. Well, the Honor 8X is no exception and it fits perfectly in this crowded mid-ranged traffic of smartphones. The Honor 8X has an all-new bezel-less design and a completely different set of internal components and is it a good value for money proposition? We find out in our review. When it comes to design and aesthetics, the Honor 8X is a looker and nothing in this price segment can beat 8X in terms of looks. The glass body, gradient color scheme, and a near bezel-less display make the Honor 8X look much more premium than its price tag would suggest. Honor is still sticking to their infamous glass-sandwich design and it looks gorgeous. Honor tried to keep the device simple with making not much differences to their pre-existing smartphones and they could have easily recycled one of their previous budget devices. The Honor 8X has plenty of real estate with almost minimal bezel, slimmest possible chin and a glass-sandwich design with a thin 7.8mm profile, but there’s no getting around that the Honor 8X feels like a very big phone. The Honor 8X is available in three color options to choose from, the blue variant definitely looks best. 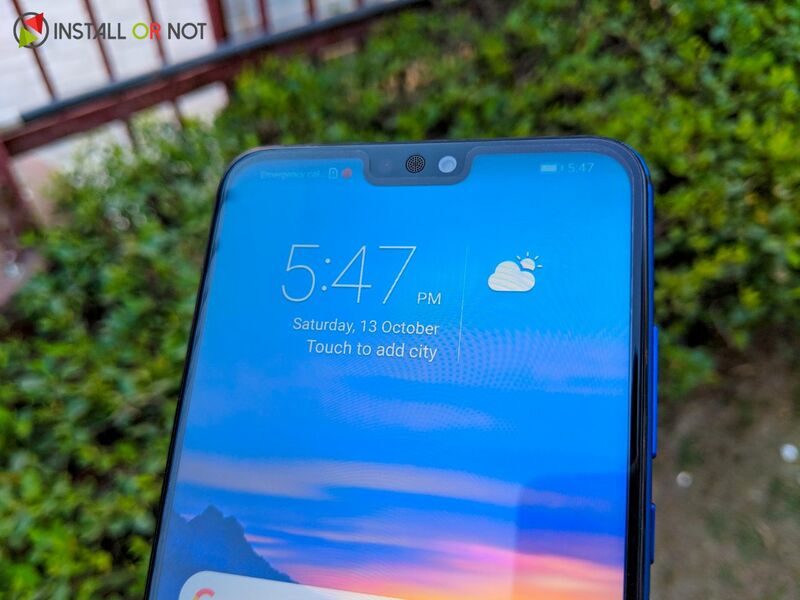 The gradient color scheme or ‘visual grating effect’ as Honor calls it is quite unique and makes the device stand out. That said, the glossy back panel is a fingerprint and smudge magnet and fortunately, Honor bundles a clear case with the device that protects the device and also offers extra grip. The Honor 8X despite landing well below the only fractionally more expensive Honor Play, is still one of the more powerful phones at the price. The Honor 8X is a snappy chunk of hardware being powered by an Octa-Core Kirin 710 processor where the 4 powerful cores are being powered by Cortex-A73 micro-architecture which even further elevates the phone’s performance and delivers consistent snappy performance across all apps. Performance is not a concern for this device, but GPU is somewhat a concern here. The Honor 8X is powered by a Mali-G51 MP4 GPU which isn’t quite up to scratch with 3D gaming performance, but GPU turbo makes up for it and while playing high graphics intensive games like PUBG and Asphalt 9, the GPU turbo kicks in and we have somewhat close to 30fps gaming experience. Also, the 8X is accompanied with 64GB/128GB of storage, a capacity that’s generous for a device of this price point, which can further be expanded through its microSD card slot. 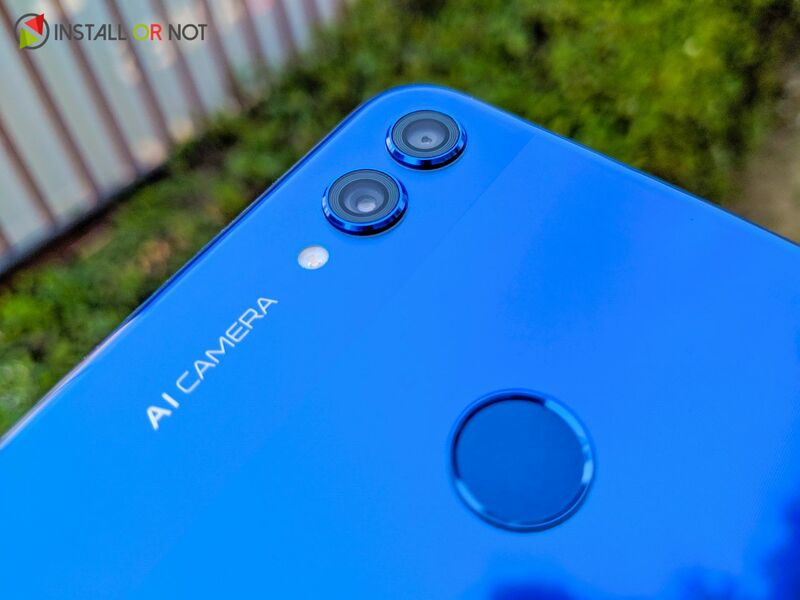 Talking about the camera specification on paper for the Honor 8X, the phone has a 20-megapixel rear camera with f/1.8 aperture, PDAF along with a 2-megapixel secondary camera with a f/2.4 aperture for portrait shots. On the front, there is a 16-megapixel camera with f/2.0 aperture. The 20MP primary rear camera captures plenty of detail and tends to oversaturate colors sometimes, but the end results from post-processing looks punchy with vibrant colors which will look great on social media, but there’s a denoise speckling effect covering most of the pictures which take the sheen off once you zoom in. The camera app on Honor 8X is similar to the one we’ve seen on other older Honor smartphones. The app has smart features such as smart shopping feature that lets you just scan the object to identify that item on Amazon; A.I mode and other usual modes such as light painting, HDR, timelapse, Slow-mo, Panorama, AR lens and many more. Here are some of the camera samples captured through the lens of Honor 8X, have a look at these. Talking about the A.I, When AI mode is enabled, the phone can recognize 22 categories of 500+ scenes and provides optimized shooting result. Some of them include Flower, Ancient building, Group Photo, Food, Panda, Beach, Snow, Waterfall, Text, Portrait, Night, Sunrise/ Sunset. Blue sky, Plant, Fireworks, Autumn leaves, Overcast, Auto, Bike, Cat, Dog and Stage performance. AI looks artificial since it boosts colors, but some might like it. Pro Tip: The HDR mode is disabled by default, make sure you enable it before capturing any picture and you’ll see a huge bump in the way the images come out post processing. The Honor 8X has a starting price of INR 14,999 and that’s the key highlight of the device. Delivering a device that is so well built that feels premium to hold and built using premium materials. 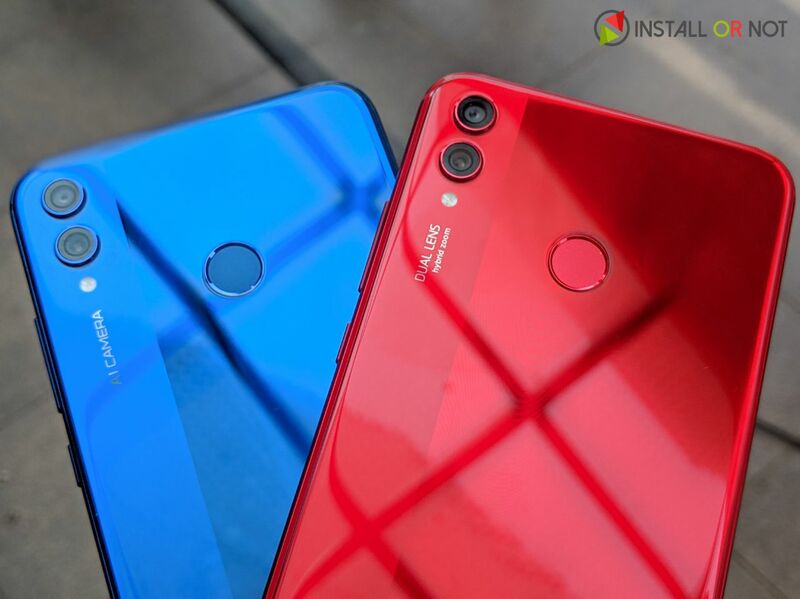 The glass pack is surely a fingerprint magnet, but that red color variant of Honor 8X looks beautiful. A device priced under 15k, and is built well, and looks beautiful, and performs better than all existing smartphones in the similar price bracket. However, the camera performance and dated hardware choices, like the micro USB port and single bottom-firing speaker, detract from an otherwise excellent device. But, considering the starting price of this device, there is nothing much we can complain about and is a good buy under 15k price segment.